The internet is getting noisier. Shouting about your services through advertising and sales pitches doesn’t work well anymore. Attention spans are shorter and clients are more discerning. But you can be heard above the noise by providing information that solves your clients’ challenges. As a credible and authoritative source of advice in the right places, your business is more likely to get discovered by potential clients. You will earn their trust and loyalty, strengthen your client relationships and grow an engaged following. I work with professional services and business-to-business (B2B) companies to plan, write and promote effective website content, blogs, case studies and more. You will get relevant and helpful content that makes you stand out from your competitors, builds authority and trust, and turns your ideal clients into loyal fans. I offer white label content and copywriting services for web design and marketing agencies too. Identify who your ideal clients are, what content they would find valuable and where you can find them. Plan what content to create that will engage them. Put how and when this content is created into a calendar to drive the next steps. Research and write search engine optimised (SEO) content that helps your business get found, positions you as experts and provides value to your ideal clients. You’ll get website content, blog articles, case studies or other content to engage your ideal clients and keep your existing clients interested. Once I’ve written and published your content, I don’t leave it there. By promoting and repurposing your content through social media, email newsletters, press releases or other ways, your content gets maximum visibility. 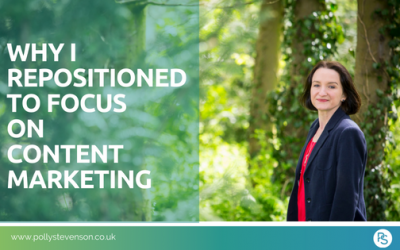 “As a small and busy team, we’ve outsourced our blog writing, website content, email newsletter and social media to Polly. “Polly understands your writing needs. She asks the right questions and collects the right information and detail which she then expertly puts together. 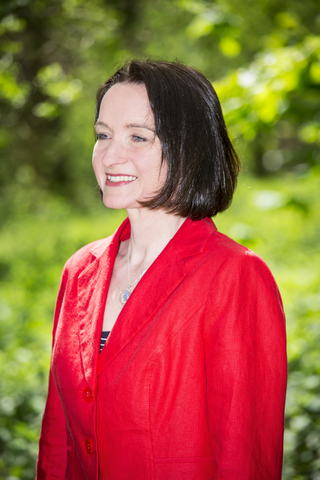 “Polly has helped us to achieve our objectives of increasing our profile and enhancing our company image. You can trust her to deliver good results on time. 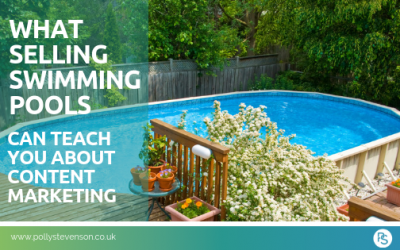 In 2009, Marcus Sheridan saved his swimming pool business with content marketing. By answering his customers’ questions with blogs and video, the business is thriving and now has over 750,000 website visitors each month. There are lots of factors that can contribute to the success of any blog post. 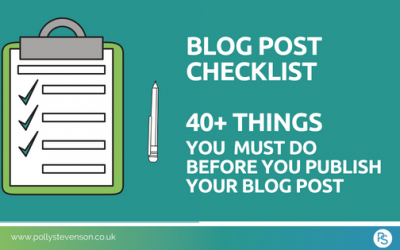 I’ve created a blog post checklist of over forty things to do as you plan, write, load your blog into your website platform and publish. I started my own business four years ago. I’ve learnt a lot including what I love to do best and what my clients value the most. Read why I’ve repositioned my business to content marketing and copywriting. Join my mailing list to get my newsletter every month or two. It'll contain helpful hints and tips to help you boost your marketing content, and my news.